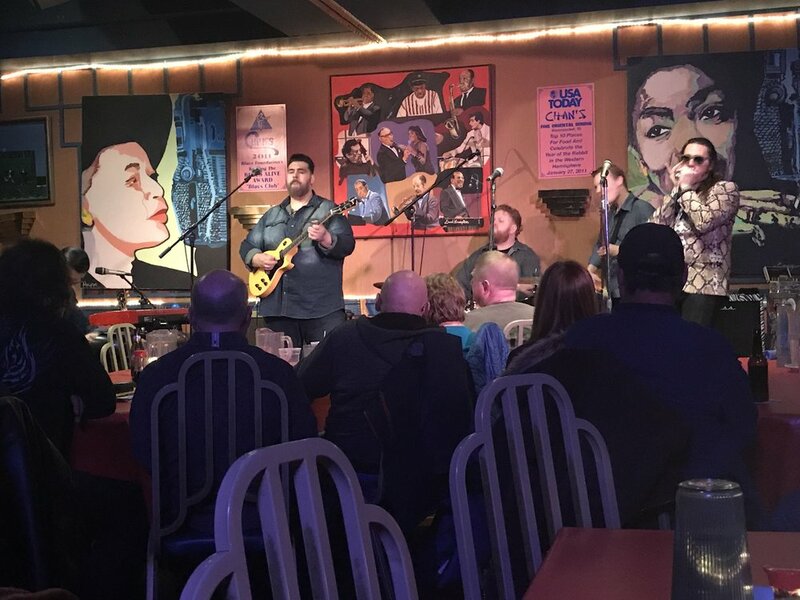 Chans is quite the experience for someone who's not been there before, and continues to be a great experience for the veteran attendee alike. 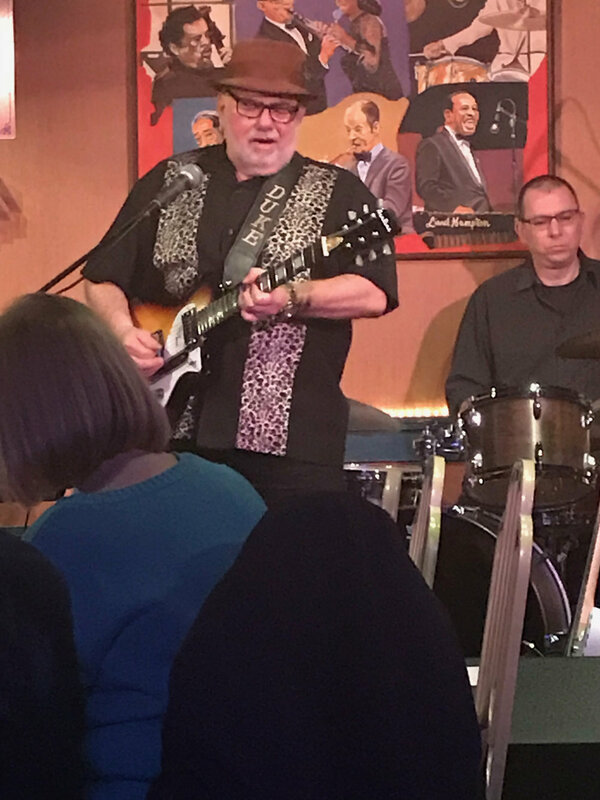 I wasn't sure what it would be like to have live Blues in the middle of a Chinese food joint, but I'd heard good things so I went in optimistic, and oh boy was I impressed. John Chan greets every person coming into the venue as he checks you in and then personally walks you to a seat of your choosing. My advice is to get there early (the doors open 90 minutes before show start times) to make sure you get the seat you want. My second bit of advice is to find somewhere near center towards the back to get the best and full experience of the sound in the room. That being said there's not really a bad seat, just some better seats. The platform that the band play from affords you a good view from anywhere in the event room. The waitresses are hard working, friendly, and in true New England fashion have some wicked senses of humor. They also remember your face when you become a regular. And you will become a regular both for the food, music, and friendliness of the staff. The eggrolls really are quite special! I'm constantly impressed with the names that John is able to bring into the venue, which just goes to show why they have had a musical tradition that has lasted 30+ years. 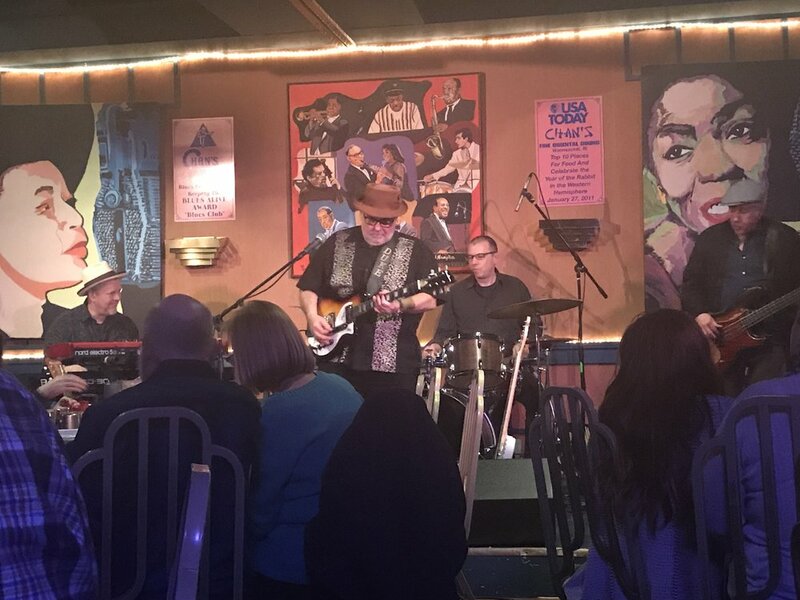 He truly is on a mission to keep live music, and in my view the Blues particularly, alive and well. The venue is a slight drive off of Route 146, but an easy drive. With it's own parking, you'll not have trouble finding space to conveniently park and arrive at the venue. There won't be any of the driving around and around to find a place to park that sometimes makes you feel like you'll need alternate transportation to get to and from. The dining room itself offers family style seating, which means you may be sharing a table with others in addition to the people you came with. This can sometimes make for an awkward night out in some venues, but it works perfectly at this establishment. Perhaps it's the shared love and excitement for the music that will lead you to find new friends just by showing up! With their own sound engineer, they work closely with the artists to make sure that the sound is spot on. Unlike some locations which can sometimes lead to constant audio balancing throughout an entire concert, you might only see a slight tweak here and there early on. I credit this to a change in the acoustics once the room has been filled with an audience. The dining also offers GENEROUS portions no matter what you get, so be prepared for a nice full meal to enjoy on your own or even share with others attending with you. You'll also have access to a buffet which is just across the hall in the remaining dining area's of the venue which are isolated from the concert venue during the show (but with easy access still available). 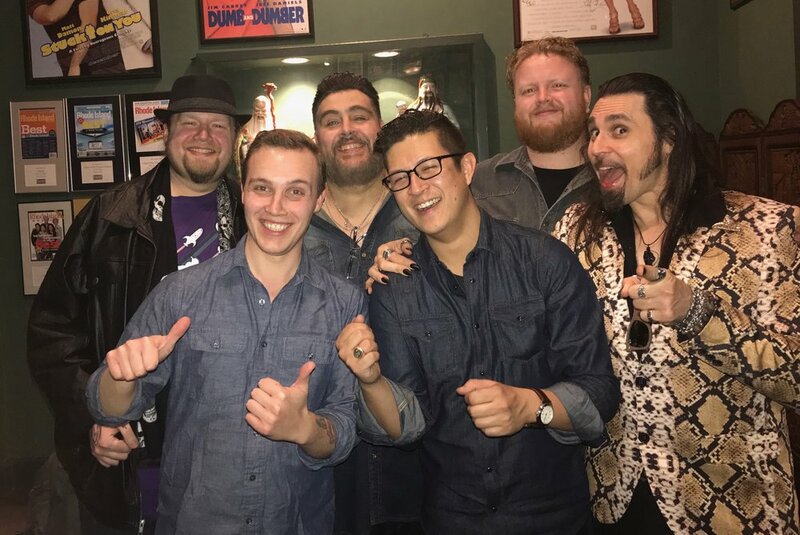 You'll even get to enjoy the occasional hint of karaoke from the bar area outside the concert room, which can lead to a few good smiles and laughs too. John has a passion for the music, and has found a way to make sure he provides a personal touch and welcome to all that come to a show. For this writer, who apparently had a blonde moment and clicked an incorrect link one day when buying tickets, I was surprised and impressed when I got a personal call from John to confirm the ticket purchase when it was to see an artist from a genre that was atypical for me. This is one of those moments when you see the interest he takes to ensure that the patrons have a good experience, and to make sure we've not had a blonde moment that might result in a disappointment at a future event down the road. 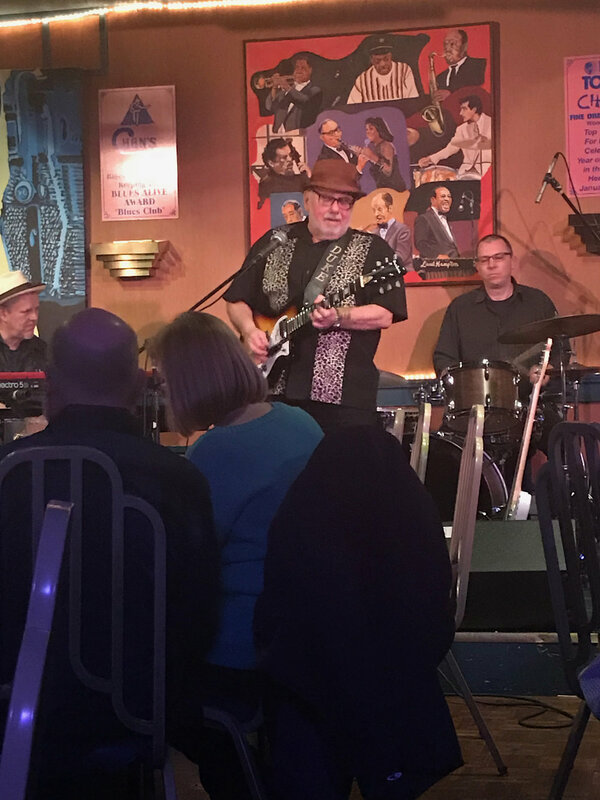 The bottom line for me is simply this, if you enjoy an intimate space for great live music from local and national top names in the Blues, and other genre's, you won't be disappointed. If you enjoy oriental dining, of many styles in addition to standard Chinese fare, then you get a delightful bonus. For a group, a single, or a date night you will find a great experience to make some memories that will truly last. Thank you to John for providing and maintaining a venue for live music and dining that keeps the arts in full access to the public, and to the staff for making each and every person feel welcome on their first and repeat visits! *This is an indepenent review and in no way was paid for or requested by the venue.